Indian Internet users are slowly but gradually uniting against the evil intentions of billion dollar corporations, and the rage is building up. Flipkart’s withdrawal from Airtel Zero was the exact trigger which we needed to stop exploitation of net neutrality principles, and it’s now mainstream. After Cleartrip announced their withdrawal, World’s biggest English media house Times Group have also announced that they are quitting Facebook’s discriminatory scheme: Internet.org. Times Internet has published a blog, wherein they have announced that they are pulling out Maharashtra Times and Times Job from Internet.org platform, but for their main publication: Times of India, they have stated that if their main competitors namely India Today, NDTV, IBNLive, NewsHunt, and BBC pull out, then they will also follow suit. Out of them, NDTV and NewsHunt announced their exit. Internet.org is the brainchild of Mark Zuckerberg, founder of Facebook, to provide free Internet access to under-privileged population in developing countries like India. The plan and the vision is brilliant as more than 1 billion people are still without any Internet access in India. But, there is a huge condition with this ‘free Internet’ offer: The users will only be able to access those websites which are part of this ‘union’. Hence, if Facebook decides to offer Bing.com as the default search engine under Internet.org free offer, the new user will never be able to understand that there exist other search engines as well. Same with Facebook itself. If the user is getting free access to Facebook, then is there any way that user will ever use Twitter or Ello? In a way, Facebook aims to create a giant eco-system of their own version of Internet for new and poor users, and brain-wash them into using only those website which become part of this unholy nexus. 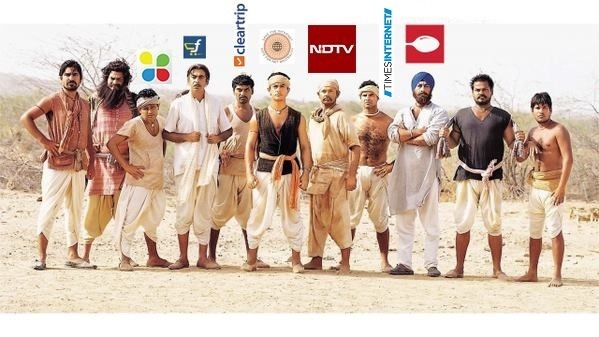 ClearTrip ; Maharashtra Times ; NDTV, NewsHunt ; Times Job. 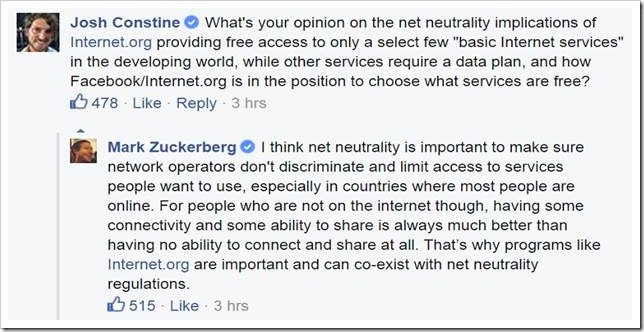 Reliance is the only telecom player which has committed to Internet.org, and if they withdraw, then Facebook’s grand scheme will totally fail in India. Interestingly, Airtel had initially slammed Facebook’s idea of free access to few websites, but later launched their own Airtel Zero, which was nothing but an alternate version of Internet.org. The day after Flipkart withdrew from Airtel Zero, their shares dropped 1.7%, thereby indicating that even shareholders are opting for net neutrality. Other startups such as Infibeam, Housing.com, FreeCharge and others have also come out openly against Internet.org, Airtel Zero and have committed to support Net Neutrality in India. April 24th is the last date to reply to TRAI’s 20 questions regarding net neutrality; and here is your chance to be a part of the movement. Checkout this post for the reasons and the answers to these questions, and send your replies by mailing TRAI at [email protected]. If you want all 38 sites participating in Internet.org Initiative to abandon it, here is what you should do. Tweet to all the sites asking them to withdraw. With more pressure, they do not have any option but to withdraw. Net neutrality forever. All attempts to divide the Internet should be opposed tooth and nail.